Comments: Broadleaf deciduous tree native to eastern Canada and the northeast US. Broad 3 to 6 inch leaves with 5 to 7 apicies--leaves are more rounded than A. saccharum. 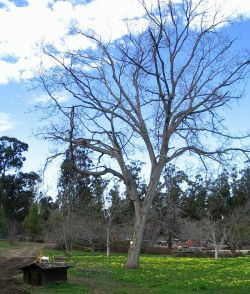 In its native range this tree is broad spreading to 80 feet tall. Locally, it will mature at half that height.